A few months before he took over as the CEO of the global banking giant Citigroup in December 2007, VIKRAM PANDIT bought an apartment in a landmark building in Manhattan where other owners included comedy superstar Jerry Seinfeld. At a reported price tag of $18 million, the purchase was one of the biggest real estate deals of the year in New York. Maria Pashby, the broker who handled the deal, recalled there was another bidder for the apartment but Pandit told her: "I never start without finishing." Many on Wall Street are wondering if he followed this mantra in the biggest role yet of his career. Pandit's abrupt announcement that he was stepping down as Citigroup's CEO on October 16 left many company staff and observers stunned. While he insisted it was his own decision, media reports were full of unnamed insiders describing how Pandit was pushed out after a long-running feud with Citigroup's board and Chairman Michael O'Neill over the company's performance and strategy. Assertions by new CEO Michael Corbat that Citigroup was "on the right path" only raised more questions about the reasons and timing of Pandit's resignation. O'Neill tried to quell speculation by reiterating that there were "no strategic, regulatory or operating issues" which led to Pandit's departure. The 55-year-old Nagpur native was said to have been handpicked by former US Treasury Secretary and Citigroup adviser Robert Rubin to head the 200-year-old financial conglomerate. Pandit was President and Chief Operating Officer at investment bank Morgan Stanley earlier, which he left in 2005 after being passed over for the top job. Citigroup bought Old Lane Partners, the hedge fund he co-founded after leaving Morgan Stanley, for a reported $800 million, to bring Pandit into its fold in 2007. Even before he took over at the helm of Citigroup, there had been talk that Pandit got the nod because other candidates had turned down the job. Their reasons became clearer over the next few months as Wall Street was walloped by the 2008 meltdown. Citigroup had to be bailed out with $45 billion in taxpayer funds, just one of the crises it faced during Pandit's thankless five-year tenure. The problems started immediately after he took over. Citigroup failed in its bid to buy another troubled bank, Wachovia. Pandit clashed repeatedly with Sheila Bair, the former head of the Federal Deposit Insurance Corporation, who called Citi's performance under Pandit "the worst" among big banks. He was pilloried by anti-Wall Street activists who, predictably enough, called him "Vikram Bandit". And this year, shareholders rejected his $15-million pay package for 2011 - even though he took only a token $1 salary in the previous two years - and the Federal Reserve turned down Citigroup's bid to increase dividend payouts. His defenders, like Shiva Ganapathy, co-founder of the New York based Marco Polo Asset Management and a former Citi executive, say Pandit brought Citigroup back from the brink and was able to raise capital at a difficult time. In fact, Citigroup beat analysts' estimates for the third quarter just a day before the CEO dropped his bombshell. But with the company's share price dropping 90 per cent during his five years at the top, it will be tough for Pandit to argue he finished what he started, or at least in the way he wanted to. 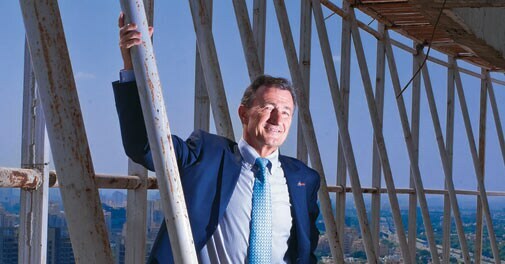 Charles Bernard is Global CEO of leading French software firm Dassault Systemes, which specialises in 3D software. In India to showcase the latest version of his 3D design platform called CATIA, for engineering companies, his eyes light up while discussing his firm's latest innovations. He talks about how Dassault will help change the way people do business. "I want to create 3D experiences for people, not just businesses," he says. "Dassault wants to do for design tools what Apple has done to influence our daily life." He was also gung ho about Dassault's new Fashion Lab Software. which was a runaway hit at the Milan and New York Fashion Weeks. It helps designers make 3D designs and sketches. The future of his company, he feels, lies in making 3D store navigation using an iPad, and getting companies to use 3D design to improve efficiency. "India has seen amazing development over the years," says CANDACE BROWNING, who came to this country for the first time in 1984. 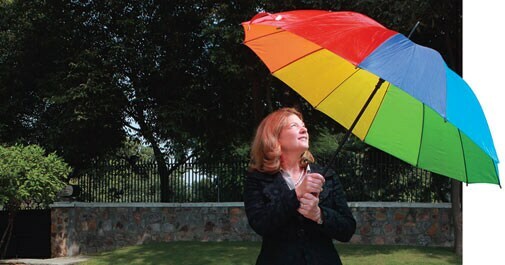 Now Head of Global Research, Bank of America Merrill Lynch, she was back in India in October as part of a corporate social responsibility initiative begun by her bank. Each of the six participants in the programme, all women in senior positions, is mentoring an Indian woman in business related activity. "My mentee is trying to start a marketing project and the challenges she is facing are fascinating," she says. Browning, who loves India's cuisine and its vibrant colours, also draws parallels between the experiences of her mentee, and women in South Africa and Tahiti in the Pacific, where the first two phases of her bank's project were held. "Women need to be clear both about the kind of people they hire, as well as the terms under which they take up employment." Intel, the world's largest chipmaker, has put another woman at the helm of its India operations. KUMUD SRINIVASAN replaces Praveen Vishakantaiah as President of Intel India. Vishakantaiah will now join as a General Manager at Intel's PC Client Group in the US, while Srinivasan shifts to Bangalore from the US in January 2013. 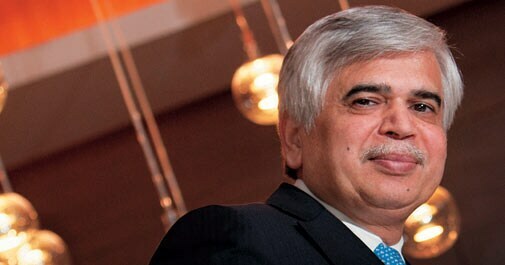 Though born in India, Srinivasan soon moved to the US for higher studies. In her 25 years with Intel, she has worked her way up the ranks, having earlier been part of its Logic Technology Development and IT groups. Most recently, she led the delivery of IT solutions and services for Intel's hardware and software engineers in the US. 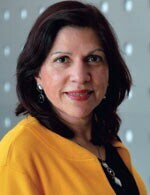 In December 2010, Intel appointed Debjani Ghosh as its South Asia Managing Director for sales and marketing. She is an 18-year veteran at the chipmaker. Do not let the wacky name fool you. Only Much Louder (OML) is the outfit behind India's most successful multi-city independent music festival - NH7 Weekender. Belying his company's name, CEO VIJAY NAIR turns out to be surprisingly soft spoken. OML started as an artist management company, but in10 years has branched out into numerous verticals: apart from music fests, a TV production house (Babble Fish), an online music magazine (NH7. in) and an online music store. It has 200 artists under its wing and organises high profile music tours. It brought pop sensation Enrique Iglesias to India recently. Nair says none of this was planned, and that when he quit studying to start travelling with a rock band, all he wanted to do was "visit concerts". Once, asked his address, RICHARD REKHY replied: "Jet Airways". His recent appointment as India CEO of consulting firm KPMG, is unlikely to reduce his flying hours. His lifestyle may remain much the same, but the task he has taken up is an onerous one. Rekhy has been with KPMG, the youngest of the four big global consulting giants in India - the others being PricewaterhouseCooper, Ernst & Young and Deloitte - for more than eight years. His last assignment was with the advisory practice, which is currently KPMG's biggest strength and contributes more than 50 per cent to its revenues. Indeed, Rekhy is credited with growing the advisory business from scratch. Rekhy is banking on the tax and advisory practices to keep KPMG growing in these challenging times.